Steam is billowing out from under the hood of your vehicle. It’s a worst-case scenario for most drivers, and it’s a clear sign you have a coolant leak and your engine is overheating. Whether you drive a newer Nissan Rogue, Murano, or Frontier, or an older Maxima, Quest, or Sentra, a radiator leak is frustrating to say the least. Hopefully it’s a problem you never encounter but if you do, Downey Nissan is here to help. 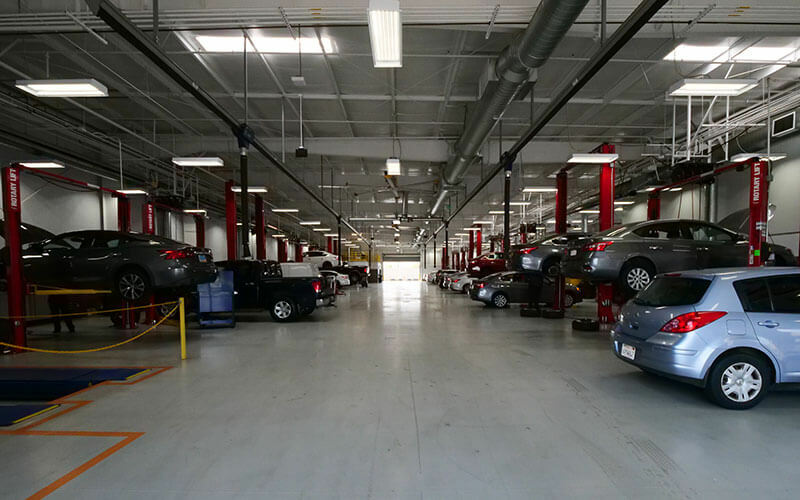 Serving Los Angeles, Downey, Lynwood, and the surrounding communities, we’ll get your Nissan back to full health once again with radiator leak diagnosis and repairs. What Can Cause Radiator Leaks? Routine maintenance is often the best way to avoid major problems like engine overheating. A cooling system flush and fluid exchange removes harmful contaminants that can corrode the radiator from the inside out, causing leaks. However, it’s not the only reason for a coolant leak from the radiator. A blockage in the cooling system, a minor collision, or expansion and contraction from the California heat can cause a coolant drip to develop. It can even be something as innocuous as a stone that impacts the radiator. A minor leak might seem like no big deal, but that’s not the case. Overheating can occur due to low coolant levels and an airlock can exacerbate the situation. No matter the size of the leak, it’s crucial to address it right away. Luckily, we have the experience and equipment to take care of your Nissan radiator leak. 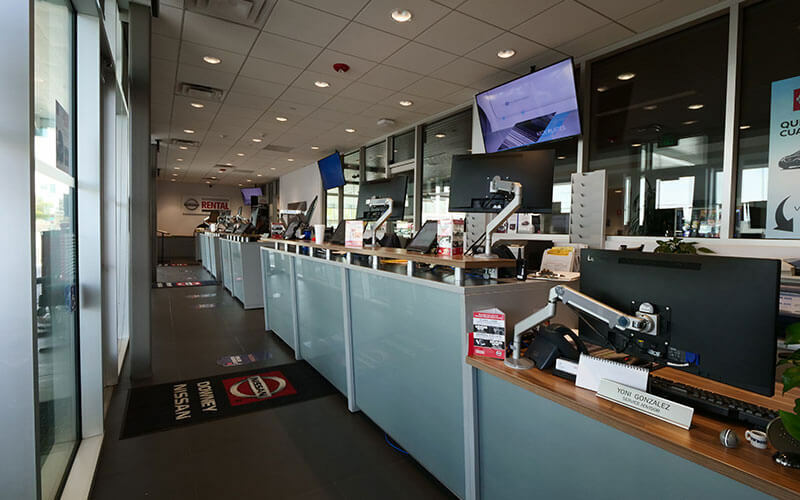 Factory-trained technicians use OEM-approved diagnostic equipment to pressure test your vehicle’s cooling system. Paired with a visual inspection, we’ll identify the root cause of your radiator leak. 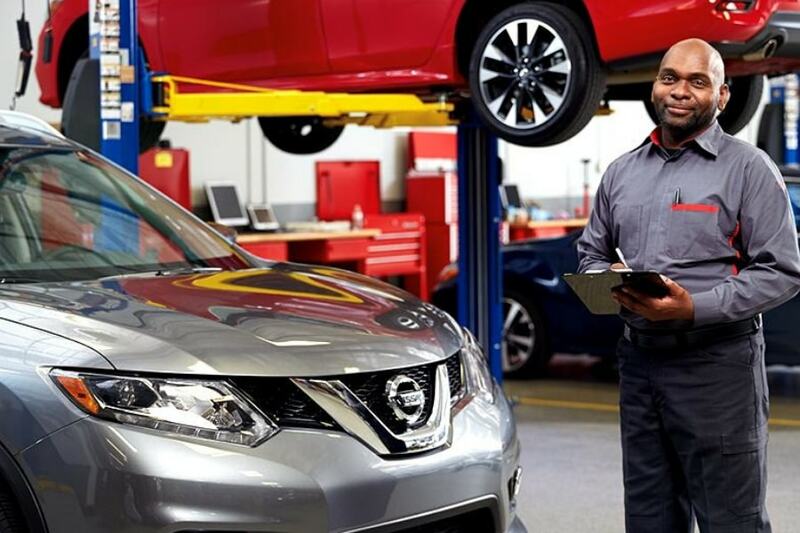 Whether it’s a repair or replacement, your repair will be performed using genuine Nissan parts and approved repair methods, guaranteeing the best results possible. 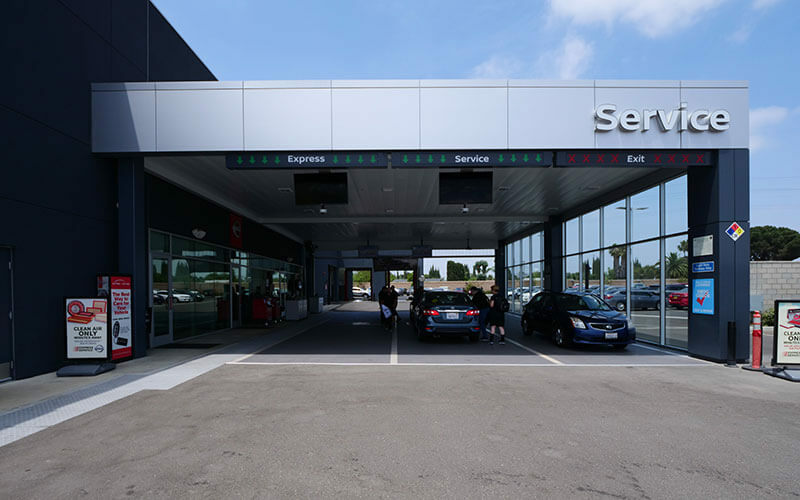 For just a minor leak repair such as a radiator hose replacement, an in-depth repair like a cylinder head gasket replacement, or simply changing the radiator, count on an accurate job by Nissan experts. 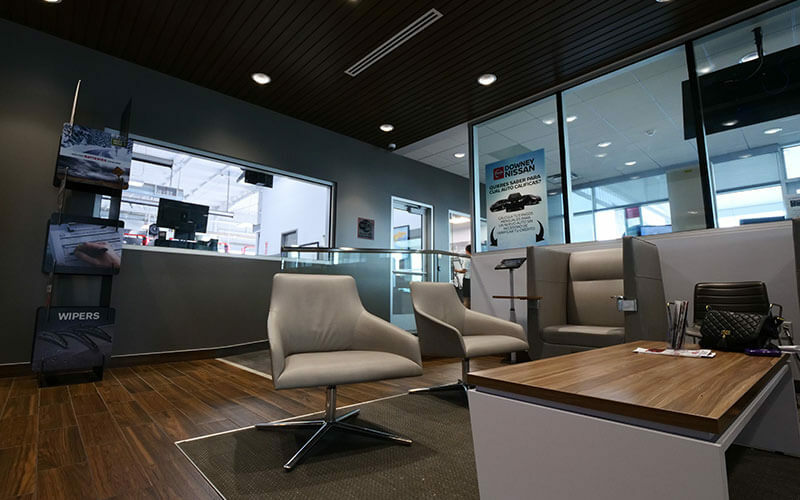 At Downey Nissan, you’ll experience customer service that’s second to none. Our friendly, knowledgeable staff will make sure you’re informed every step of the way. 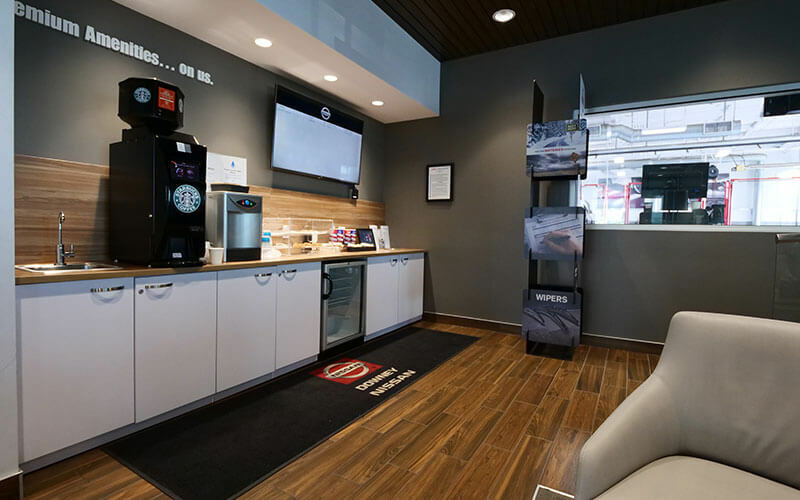 Feel free to relax in our customer lounge while your vehicle is in for service or have our complimentary shuttle service take you home. 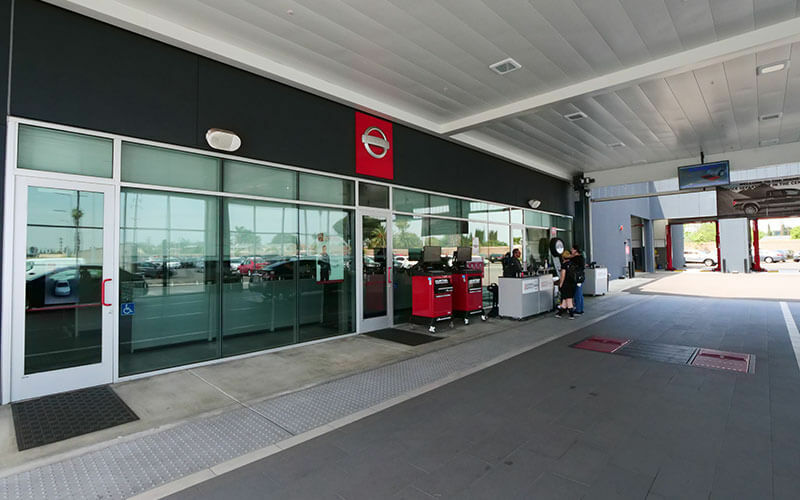 For all your Nissan service and repairs including radiator leak diagnosis and repair, we’re happy you’ve chosen Downey Nissan as your servicing dealer in the Los Angeles area.